How to Use YouTube Marketing for a Small Business - Web Precision, Inc. When it comes to YouTube and small businesses, is it successfully showing that video marketing the way to go? Proponents of this type of marketing would say yes– and so would thousands of other small business owners. So why should you start your own channel and begin promoting? Building brand awareness and your brand is all about expanding your audience. If no one knows what your business is, what your vision is, and what you stand for, how can you expect them to support you? The first step is getting people to know your business (and the second is to recruit them as a customer!). You want them to be actively looking at your business and what it is that you offer; the end result hopefully being a purchase of your goods and services. 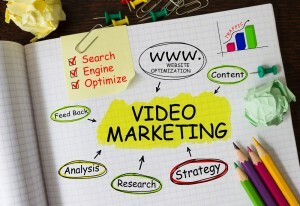 Video testimonials may also be a good way to give viewers a better idea of your brand. YouTube is actually the second largest search engine that exists online right now! It is one of the biggest social media platforms out there as well– yet another reason to check it out. Whether you want to see the products and services that the business offers, learn more about the business, or just find the video through search terms, YouTube is a huge market with tons of users and daily viewers. People have accounts and can favorite or like a video, subscribe to a channel, and easily hit a button to share with friends on other social media sites. It’s also a great way to recruit local business. Videos on YouTube that include certain keywords that pertain to your area ensure that it will come up accurately in a search. Therefore you may be more likely to catch the attention of people in your area that could become potential customers and get some more local business as a result! Since video tends to pop up higher on search engine optimization, having your business content tied to a shareable video makes it higher on the SEO scale! Better SEO equals more views which adds up to more exposure for your business. Hard to argue with that! Another great reason to use YouTube video marketing online is that it can really provide a lot of great chances to get in touch with your target market. This can be through posting content, answering comments and questions, and connecting with viewers! Your target market will be searching for certain keywords, and you can use those to catch some of those searchers who may be interested in buying your goods and services. At the end of the day, video marketing is a great way to advertise your business, and what better place than YouTube? With millions of videos watched every day, it’s an efficient and effective platform for any marketing campaign.